Gun safety courses Foxboro are offered by both the local police departments and private companies. 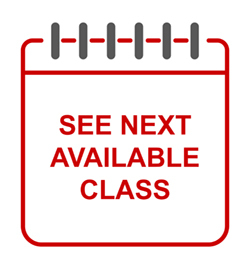 The sole purpose of these courses is to educate applicants on the Massachusetts firearm laws and also to teach them on gun safety both when using and storing firearm. In this post, we will be focusing mainly on the third step; submitting the application and waiting for the response. This is, probably, one of the easiest steps but the most discomforting one. Here are some of the things you need to do when submitting your application. The thing that you want is to make sure that you submit the application in the right way so that you don’t end up being disqualified for the wrong reasons. You should, therefore, take some time to check the application requirements with the local police department. The state law set the basic requirements for applying for an LTC. The final decision, however, lies with the local chief of police. There is a leeway for the required documents in each police department. In some towns, you will be required to submit a copy of your birth certificate while other towns will accept other forms. You may also be required to provide a written recommendation from at least two references while other towns will only require you to submit the names and contact information of the references. You will be required to submit proof that you have successfully completed gun safety courses Foxboro. You need to make a copy of the certificate and submit it with the application for a license to carry or FID Ma. Applying for a license to carry Ma attracts a fee. The fee is generally $100. Check with the local police department for more information on the fees. You should also get to know the form of payment that is accepted. Once you are ready, it is time to take the application and all the required materials to the police department. The website of the police department will help you know if there are certain times that applications are accepted. You can also call ahead to know if you will be able to complete the application on your selected day. When submitting the application for LTC, you don’t just drop it at the front desk and leave. There are additional instructions you will have to follow. Your fingerprints will need to be taken. After the initial processing, you will be informed of the method and time frame in which you will get the gun license or a denial. These are simply the basic steps. It is good to set aside adequate time for the submission period. You don’t want to be in a hurry during processing.